Rakshabandhan is celebrated to strengthen the bond between the brother and sister. As far as the traditions and rituals are concerned, sisters prepare the "pooja thali" with diyas, chawal and rakhis. They worship the goddesses, tie rakhis on the wrist of their brother(s), and wish for their well being. On the other hand, the brothers acknowledge their love with a promise that they will remain by their sisters' side and protect them throughout their life. Brothers also give token gifts to their sisters. 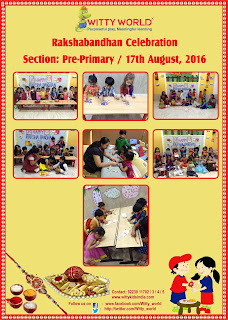 Witty World celebrated the auspicious festival of Rakshabandhan on Wednesday, 17th August 2016. Children of Playgroup, Nursery and Jr. KG section made colourful eye catching rakhis, whereas Sr. KG made it special by making envelopes too. 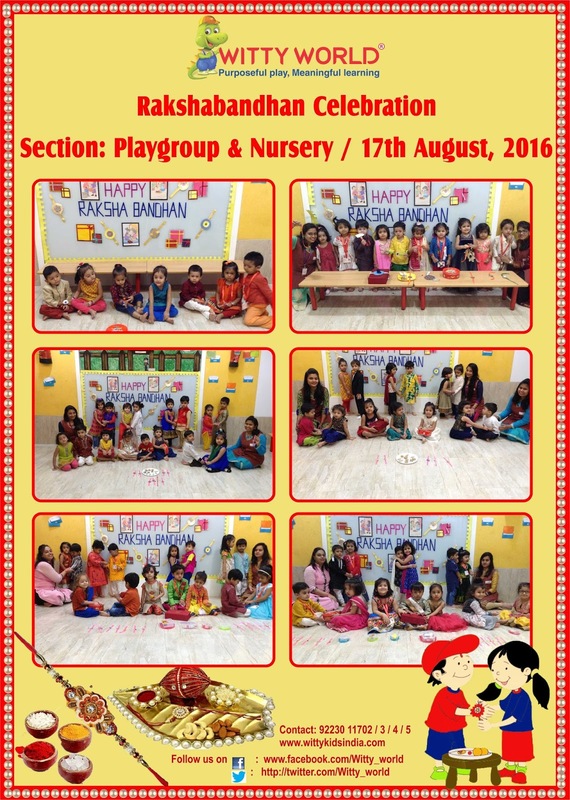 The school was vividly decorated with colourful rakhis, thus arousing the spirit of brotherhood and strengthening the bond of a brother and sisters relationship. Our little Wittians came in traditional clothes. The happiness of the festival was visible on our little one's faces. 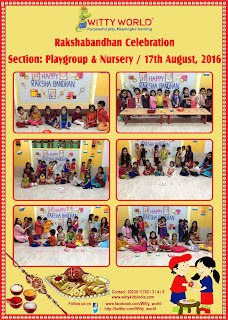 The day was full of fun and merriment was floating all around.